3 images. 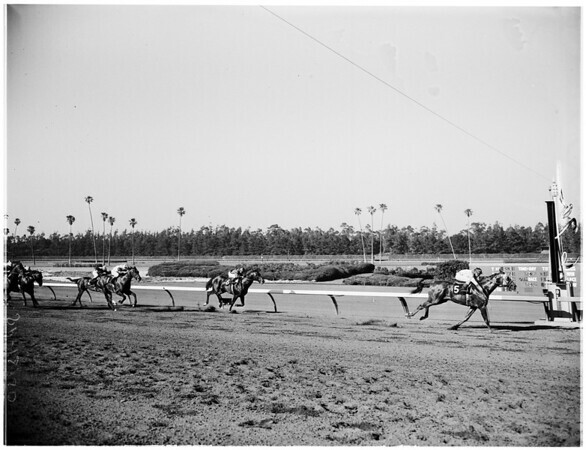 Horse racing at Hollywood Park, 27 May 1961. Finish of feature race. (Sleeve reads: SP-12950).